In a world that seems full of such hatred and partisanship, especially in North Carolina after the repercussions of HB2, drag queens like Shangela remind us of the happiness that is really in this world. 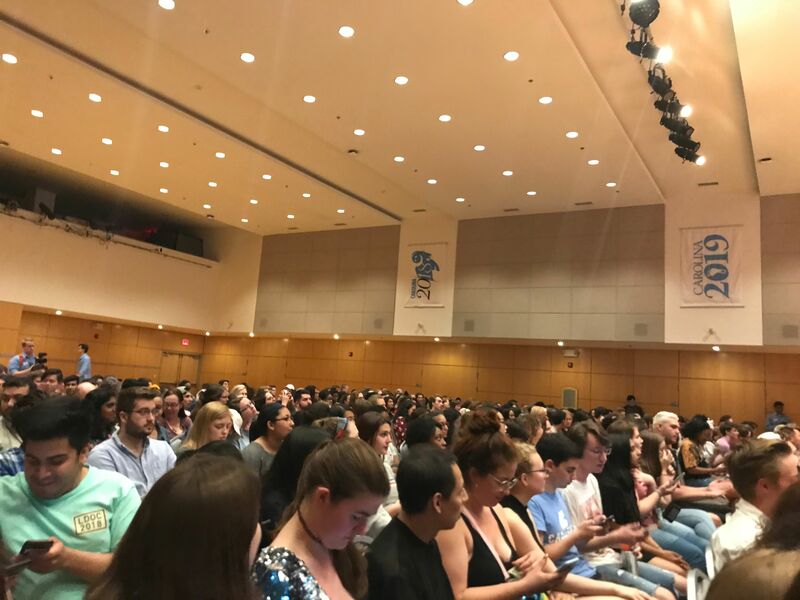 Hundreds of UNC students, for most of them their first drag show experience, gathered in excitement to see Shangela! 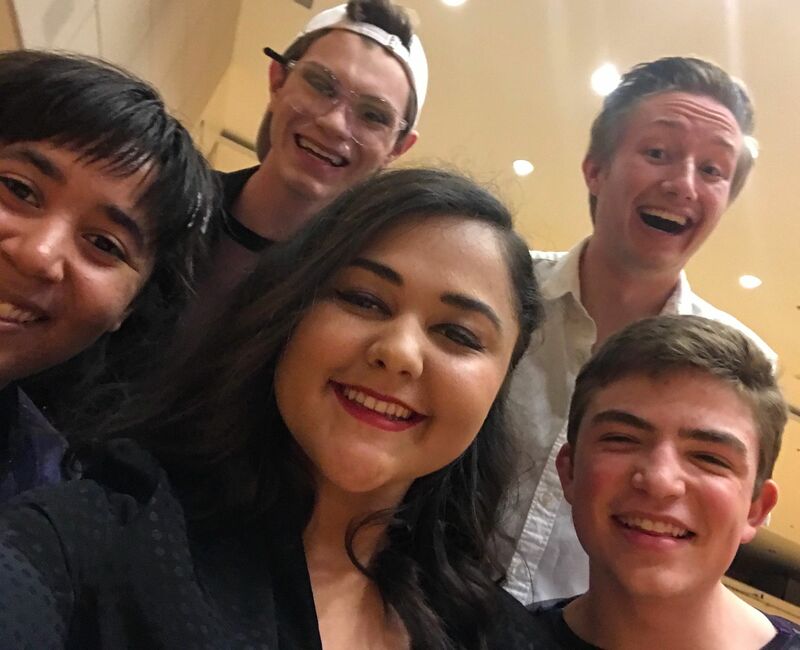 A dozen of UNC students were invited to be a part of Shangela's Student Fashion Show where they got to show off their style and personality. Shangela entered and wowed the crowd with her amazing dance skills, complete with her signature dance drops. No one was seated when Shangela arrived to the Great Hall! This was so much more than just your average club drag show. 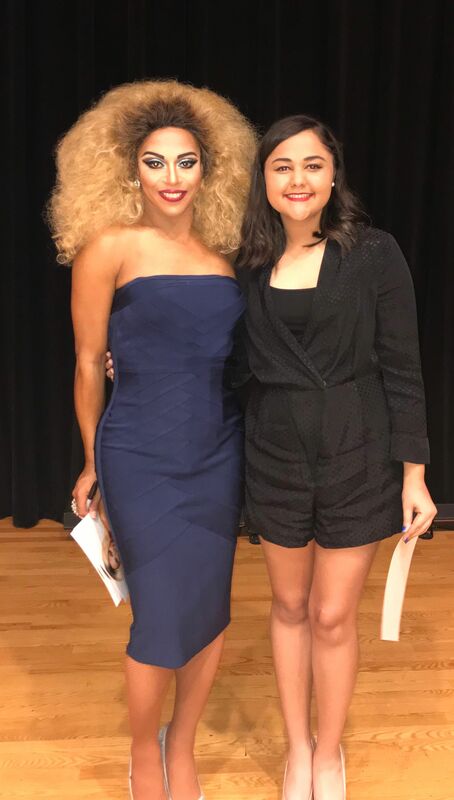 Shangela, who graduated from Southern Methodist University with a business degree, gave advice to the students in the audience. Shangela shared her wisdom about how you may not be able control what is coming at you, however, "what you can control is how you are going to act, pick yourself up and move forward!" Charlotte Grush (right) and I were excited to say the least! After the show, Shangela met up with her biggest fans who got to participate in the fashion show. The meet-and-greet was complete with many selfies, pictures and autographs. Shangela was the nicest, sweetest and most wonderful and beautiful (both inside and out) as a man and woman drag queen I have ever met. She took the time to talk to each person and even remembered our names from earlier. Despite having a gig in less than two hours in Greensboro later that night, she made each person feel special. 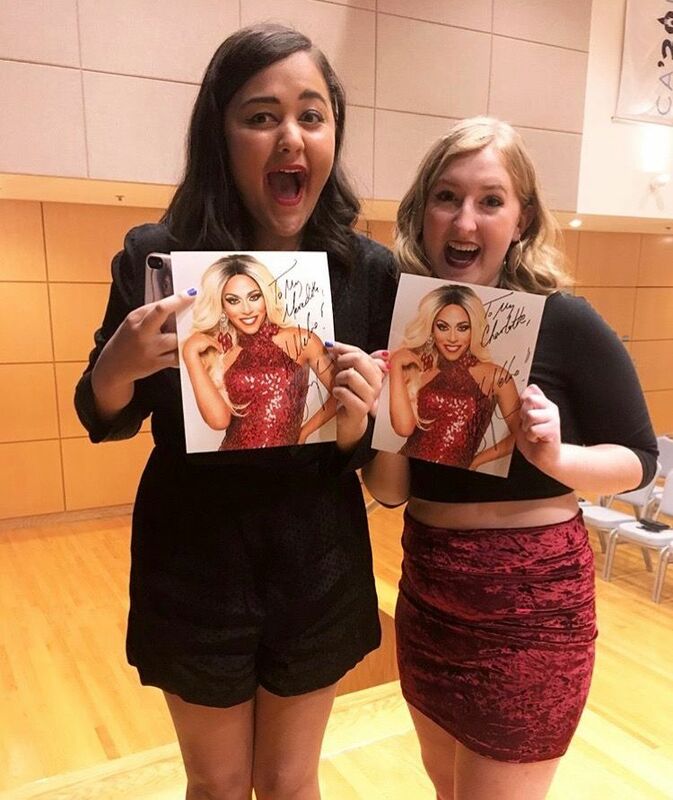 Thanks to Shangela, this was a night the UNC campus will never forget! Halleloo!